(Natural News) Greenpeace and other environmental groups have found themselves on the receiving end of a lawsuit filed by an oil pipeline company. Energy Transfer Partners, the operator of the controversial Dakota Access Pipeline, accused Greenpeace and the other groups of racketeering, inciting violence that was akin to “eco-terrorism”, and defamation. They claimed that the groups made false charges, such as saying the operator failed to consult the tribes living near the route of the pipeline. For its part, Greenpeace said that the charges were nothing more than “harassment by corporate bullies.” Their spokesperson, Travis Nichols, told the New York Daily News that he felt the lawsuit had no legal merit and was an attempt to squash public opposition. He vowed to refute the “outrageous claims” against the group. Some of the other groups named in the suit include Earth First, Bank Track, and the Bold Alliance. The lawsuit accuses these groups of “manufacturing a media spectacle” and using the Standing Rock Sioux tribe to incite a battle against the pipeline project. The suit also names three Iowa activist groups, Bold Iowa, Mississippi Stand, and the Sierra Club. These groups’ representatives told The Des Moines Register that they dispute the lawsuit’s claims and remain opposed to the pipeline, which passes through 18 of the state’s counties. Thousands of protesters camped on North Dakota land last year near the planned path of the 1,172-mile pipeline. Environmental groups and North American tribes took issue with the fact that the $3.8 billion pipeline would go underneath a river and manmade lake that provided drinking water to the Standing Rock Sioux tribe. 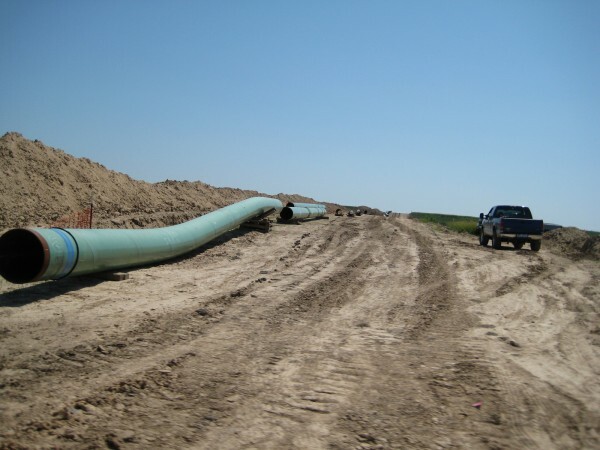 Other points of contention were its use of fossil fuels, its interference with native ancestral lands, and the state of Iowa’s authorization of eminent domain to access the land for pipeline construction. A total of 761 arrests were made in protests that took place between August 2016 and this February, and two members of the Mississippi Stand group have admitted to sabotaging the pipeline. The pipeline began delivering crude oil in May, but its future is uncertain. In June, a federal judge called for a new environmental review, saying that officials failed to fully consider the potential effects any oil spills could have on the Standing Rock Sioux tribe’s fishing and hunting rights. The law firm representing Energy Transfer Partners in this matter is Kasowitz Benson Torres & Friedman. The founding partner of the firm, Marc Kasowitz, is President Trump’s personal lawyer. The firm’s Michael J. Bowe will be leading the lawsuit. Greenpeace says that this is not the first time that Kasowitz’s firm has taken action against them. Last year, the same firm represented the logging company Resolute Forest Products in filing a defamation lawsuit against Greenpeace. The current lawsuit, which was filed in federal court in North Dakota, is seeking damages of up to $1 billion. Energy Transfer Partners’ legal team said in a press release that they planned to establish a website to keep track of information about the case, publish progress reports, and set the record straight when necessary.